But instead of feeling safe and secure behind their armed walls they found themselves trapped in the prison they had built with their own fear. They even became afraid of their own bombs, wondering if they might harm themselves more than their enemies. Meanwhile, outside their walls, the land became fruitful again, life gradually returned to normal. But the fearful hoarders inside the walls had no idea, as they could not even see what was happening outside their high, bomb-protected walls. The Dutch Catholic priest, Henri Nouwen, wrote this parable in one of his many books, and I changed the ending in order to make it less suicidal. It’s a good parable for starting our entry into Lent. After all, the Church also chose parables to start our journey to Lent in the previous three Sundays (Publican and Pharisee, Prodigal Son, Sheep and Goats). Why this parable today? Because too much of what passes for Lenten spiritual advice seems to tell us to shut down and protect our senses, to withdraw, to look inward. I disagree. Lent is a time to break down walls that we build around ourselves. Take a cue from nature. Lent always comes in that part of the year when winter and spring struggle with each other for dominance. By the time Lent ends and ushers in Holy Week, spring will have gained the upper hand. It’s the time of spiritual struggle, as the darkness and light inside every one of us struggle for dominance. I’m not ready for Lent. I don’t want to fast, I don’t want extra church services. I’m not ready. The darkness inside me doesn’t want to yield to fasting or extra worship. Perhaps you can relate. And yet yield I must – and at the end of six weeks I will be grateful for the growing light inside me just as outside in the natural world. Lent is not a time to build walls to protect our spirits. Let monks and fear mongers build walls. Lent is a bridge, not a time for walls. It’s a bridge to the light of Easter. 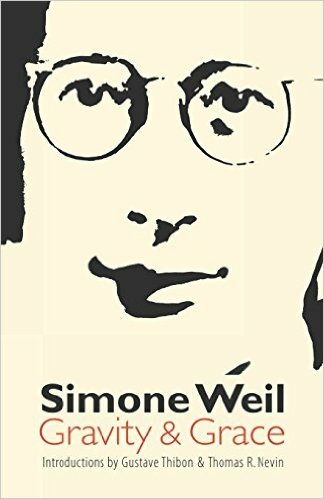 Simone Weil was a remarkable woman who lived only 34 years in the early part of the 20th century. Albert Camus called her “the only great spirit of our time.” T. S. Eliot said, “We must simply expose ourselves to the personality of a woman of genius, of a kind of genius akin to that of the saints.” “Simone Weil is a mystery that should keep us all humble,” said Flannery O’Connor about her – and Flannery herself was something of a mystery! She was a Jewish Frenchwoman who was drawn to Jesus Christ and the Christian faith but refused to be baptized for reasons that I don’t need to explain. The other great passion in her intellectual life was the civilization of Ancient Greece. Her notebooks are full of direct quotes from Plato, Aeschylus, Sophocles, Euripides, Homer…all in the original Classical Greek. She wrote one of the most penetrating essays on Homer’s Iliad. 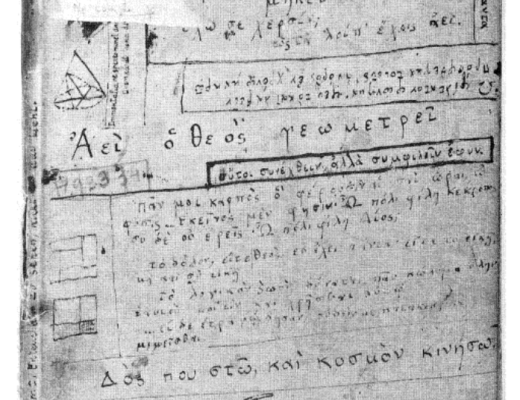 A typical page from Simone Weil’s notebooks with large amounts of classical Greek. This quote comes from her book, Gravity and Grace. I think it’s perfect for my message today. Lent is one of the bridges connecting us, guiding us to God. And yet how much we have covered this bridge with buildings of our own making which keep us bound, closed in, walled in. We have covered this bridge with legalistic, pharisaic rules that keep our spirits bound rather than uplifted. Are we like those hoarders after all, afraid to let go of any of our attachments? Afraid even to question the legalistic stuff that do nothing except make pharisees of many of us? 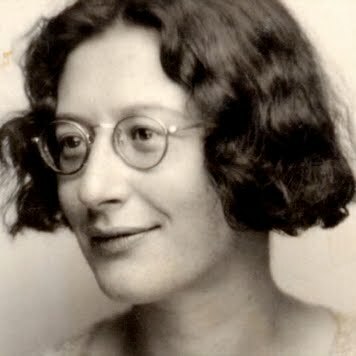 There is so much Simone Weil’s favorite word can teach us. So much Lent can do in our lives. Let it be a time of spiritual openness; not a time of closed, walled-in spirit. Categories: Sermons | Tags: bridges not walls, Henri Nouwen, μεταξύ, Lent, Simone Weil | Permalink. 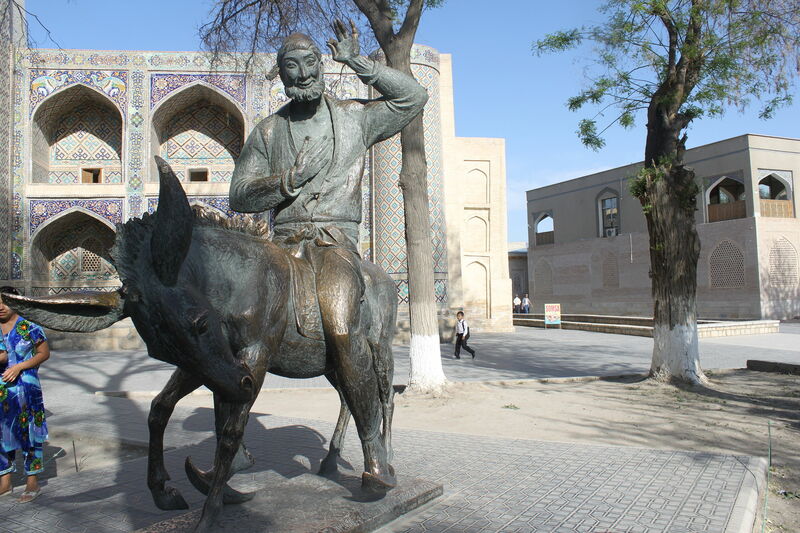 A neighbour came to the gate of Mulla Nasreddin’s yard. The Mulla went to meet him outside. All of a sudden the donkey could be heard braying loudly behind the wall of the yard. I can’t help but think of this Nasruddin story when I think on today’s Gospel Parable of the Sheep and Goats. It’s so easy to say, Whom are you going to believe, Jesus, or what I tell you he meant? There are millions of Christians – whom I call “Rapture Christians” – who simply ignore the plain teaching of what Jesus says. How do they do this? They simply say it doesn’t apply to them. It applies to other people, or to another time and place! Nice and quick way to avoid the plain meaning. You can’t argue with people who simply refuse to accept what’s in front of them. But it’s much worse than that. Most Christians in one way or another have substituted their own beliefs for what Jesus says. Most Christians – including Orthodox, Catholics and most Protestants – think the most important thing is what we say about Christ, rather than what he said! But pay attention. The Lord will gather THE NATIONS! He says nothing about what they believe, what the religions of the nations might be. He will gather the nations and will separate them according to what they have done. Deeds – not creeds! For he will render to every man according to his works… There will be tribulation and distress for every human being who does evil, the Jew first and also the Greek, but glory and honor and peace for every one who does good, the Jew first and also the Greek. For God shows no partiality. All who have sinned without the law will also perish without the law, and all who have sinned under the law will be judged by the law. For it is not the hearers of the law who are righteous before God, but the doers of the law who will be justified. When Gentiles who have not the law do by nature what the law requires, they are a law to themselves, even though they do not have the law. They show that what the law requires is written on their hearts, while their conscience also bears witness and their conflicting thoughts accuse or perhaps excuse them on that day when, according to my gospel, God judges the secrets of men by Christ Jesus. The judgment is universal. Jews, Christians, Muslims, have similar ideas about God’s judgment. They might not agree on many things – but they do agree about judgment. And the bottom line is how we practice our faith! That is why Jesus said “the nations”. 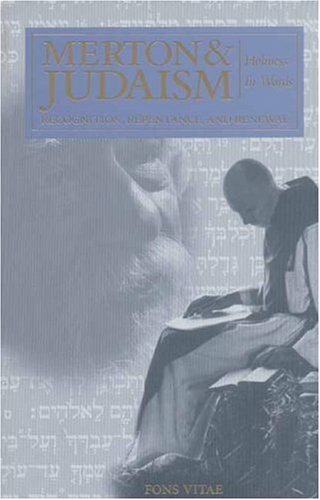 I’ve been reading a book about Thomas Merton’s relationship to Judaism. Merton: If I affirm myself as a Catholic merely by denying all that is Muslim, Jewish, Protestant, Hindu, Buddhist, etc., in the end I will find that there is not much left for me to affirm as a Catholic: and certainly no breath of the Spirit with which to affirm it. This is a provocative statement, even arrogant on the part of Buber, and it took a while for it to sink in. But when it did, I had no disagreement with it. And the Jesus who spoke to us today is Buber’s brother! There was once a man who was very forgetful. When he got up in the morning it was so hard for him to find his clothes that at night he almost hesitated to go to bed for thinking of the trouble he would have on waking. One evening he took paper and pencil and as he undressed noted down exactly where he put everything he had on. The next morning, he took the slip of paper in his hand and read: cap – there it was, he set it on his head; pants – there they lay, he got into them… and so on until he was fully dressed. “That’s all very well, but now where am I myself?” he asked in great agitation. “Where in the world am I?” He looked and looked, but it was in vain that he searched; he could not find himself. “And that is how it is with us,” said the rabbi. Where am I? I might have all my beliefs in place. I might think of myself as alright with God. I’m Orthodox, after all, I’m not a heretic. But where am I? Am I missing the most important thing? Jesus’ parable today tells me that I am where he is! I will find myself where I will find him: In you, in my neighbor, in the homeless, in the stranger, in the refugee. That’s the true power of Jesus’ words – and his words shatter all our conceptions of what religion is. And that’s why he says, “the nations” – because our beliefs are not our own, they are the beliefs of our tribes and national/ethnic identifies. But Jesus shows us a higher identity – an identity of truly transforming power. The message of the Bible is that into the confusion of man’s world, with its divisions and hatred, has come a message of transforming power, and those who believe it will experience in themselves the love that makes for reconciliation and peace on earth. Categories: Sermons | Tags: deeds not creeds, Nasruddin, parable of sheep and goats, Thomas Merton, universal judgment | Permalink. Don’t be prodigal in your prayers! 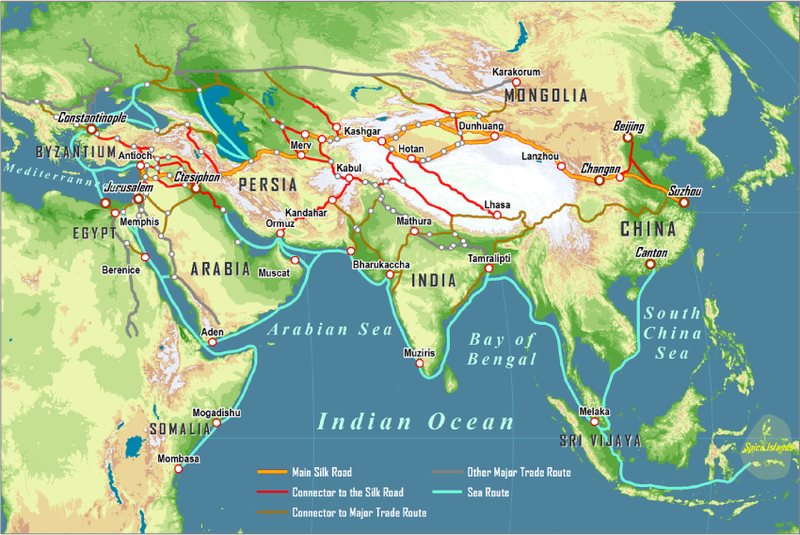 Among the most impressive civilizations in world history were the great Islamic societies of Central Asia, along what were called the Silk Roads. Great architecture and art, literature, technology, scientific and mathematical discoveries were among the trademarks of these societies – in sharp contrast to the common perceptions of Islam that are common in Europe and North America today. Great philosophers and teachers of spirituality and folk wisdom abounded in those societies. One of the most famous of these was Nasruddin (13th century). He was a popular preacher, but also something of a clown – the Muslim counterpart of the “fool for Christ” in Christian societies. Many stories about him have come down through the centuries are widely enjoyed to this day. I have used some of his stories in past sermons. Mullah Nasruddin was invited to deliver a sermon. When he got on the pulpit, he asked, “Do you know what I am going to say?” The audience replied “No” – so he declared, “I have no desire to speak to people who don’t even know what I will be talking about,” and he left. The people felt embarrassed and called him back again the next day. This time, when he asked the same question, the people replied “Yes.” So Nasruddin said, “Well, since you already know what I am going to say, I won’t waste any more of your time,” and he left. So the people decided to try one more time and once again invited the Mulla to speak the following week. This time they were prepared for him. Once again he asked the same question, “Do you know what I am going to say?” Half the people answered Yes while the other half replied No. 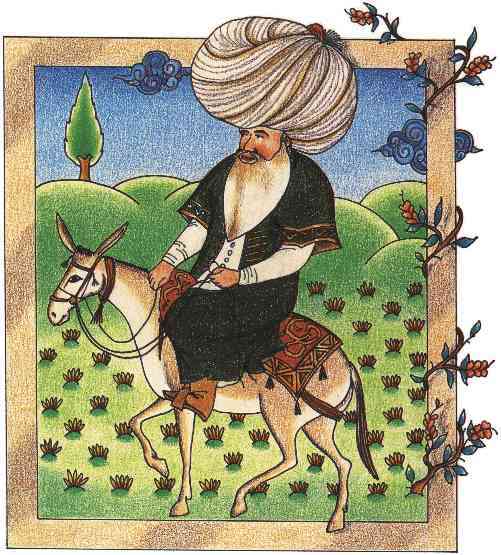 So Nasreddin said “Let the half who know what I am going to say, tell it to the half who don’t,” and he left. 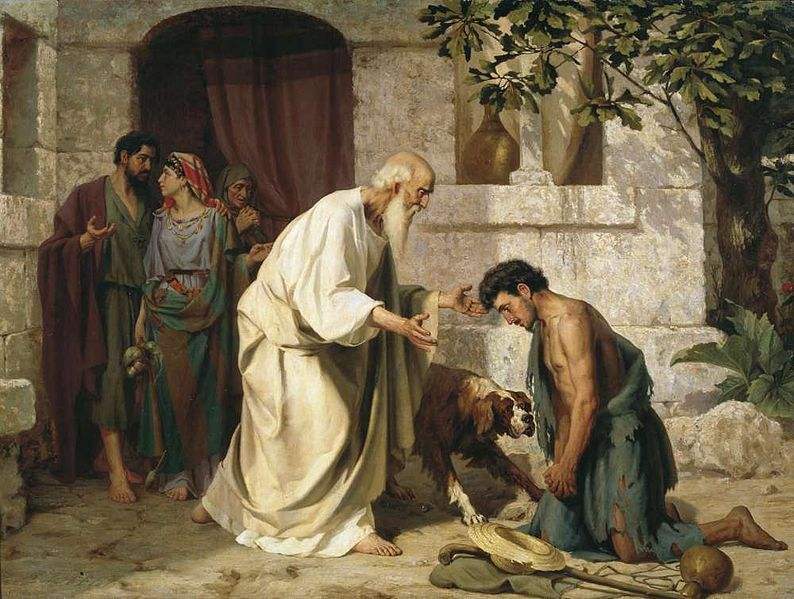 So today, those of you who know what the parable of the prodigal son is all about can teach it to those who don’t, and I can finish the Liturgy. Or, do you know what the parable is about? There’s always something new to discover in this beautiful parable that Jesus spoke and which we read two weeks before Lent begins. Last week we witnessed two men in the Temple, the publican and the pharisee, and two sharply opposite ways of praying. Today also we witness sharp contrasts in how one can pray. The younger son asks his father for his share of the inheritance. He wants to enjoy it now when he is young, not when his father dies and he will no longer be young. He wants to sow his wild oats, he wants to party. We also are impatient. In today’s world of instant gratification, waiting is unnatural. We want what is ours and we want it now! So we pray for things that we haven’t worked for. We pray for things that we are not mature enough to handle. The son gets his inheritance and sure enough goes away to a foreign land and spends it all. 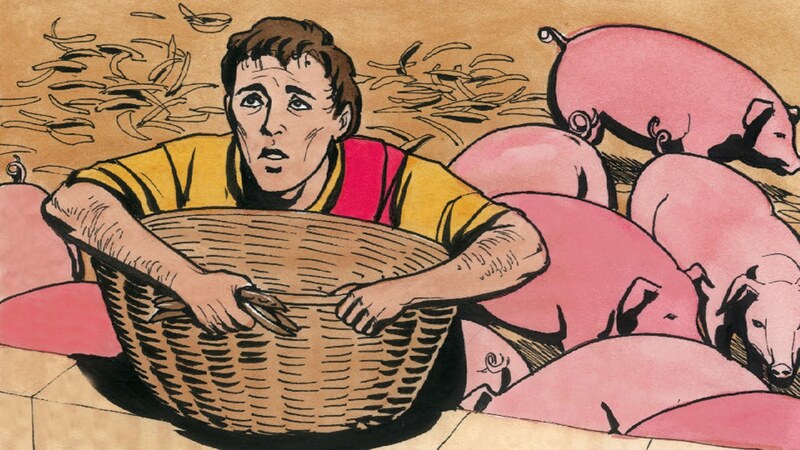 He is hungry, he can’t even eat what is fed to the pigs! And his thoughts turn to his home. He rehearses what he will say to his father. He will grovel, he will ask to be treated like a slave. But the father pays no attention to his rehearsed speech. He instead turns to the servants and asks them to dress his son in the finest robe and prepare for a big celebration. How many of our own prayers are carefully rehearsed? We think that if use the right words, God will grant our requests. And this creates a problem for most of us. Because we don’t know what words to use, we don’t pray! So the father’s lesson to us today is to stop searching for fancy words, stop rehearsing! Just open your heart and be honest in your poverty of words and in your poverty of spirit. 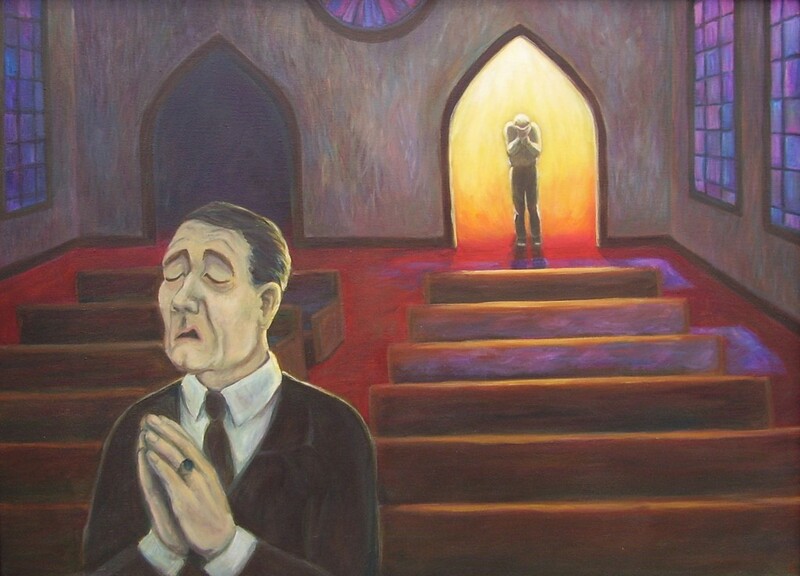 The father in the parable does not listen to the rehearsed prayer of his son. He lifts him up; he doesn’t let him grovel. That’s how God receives us. God does not need long explanations or speeches. God is looking to dress us in royalty. Don’t pray for things that you are not ready to receive. Be patient for God to act in your life. Realize when you’ve drifted far from God and your divine home. Turn to God with open heart and honesty. Don’t be prodigal in your prayers! Be simple. Don’t rehearse fancy prayers. Prayer is an open heart! Don’t grovel when God lifts you up. Don’t think of yourself as unworthy. God sees you as worthy. You are worthy of mercy and love beyond compare. Categories: Sermons | Tags: Nasruddin, parable of the prodigal son, ways to pray | Permalink. They asked because they didn’t want to pray like the Pharisee, who boasted how many times he prayed, how much he fasted, how much he tithed, but who also looked down on other people – perhaps people like them! 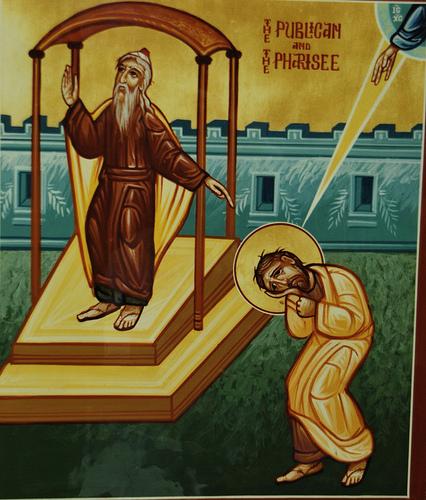 They heard Jesus extol the prayer of the tax collector – a simple prayer, God be merciful to me a sinner! So they asked. We all ask. Every Orthodox Christian at one time or another, or often, has asked someone, a priest, a fellow church member – how do I pray? It is a simple prayer that covers all the essentials – both heavenly and earthly. But in addition to this prayer, the Bible has a profound group of prayers that are available to us to pray in every situation. I’m referring to the Psalms, of course. 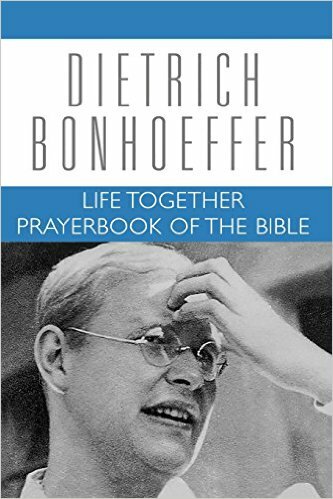 The great German theologian and martyr, Dietrich Bonhoeffer, wrote a beautiful short book, The Prayerbook of the Bible. He identifies many different types of psalms; I’ll focus on some of the types he identifies. Ps 8 O Lord, how majestic is your name in all the earth…. what are human beings that you are mindful of them, that you care for them? The parable for today. Where are you? Who are you? The one up front, or the one in the back? What is the attitude we bring to prayer? Ps 13 How long, O Lord? Will you forget me forever? Ps 22 My God, my God, why have you forsaken me? nor will you let your faithful one see decay. Categories: Sermons | Tags: acceptable prayer, boasting prayer, Dietrich Bonhoeffer, humble prayer, Lord's prayer, parable of publican and pharisee, prayer, prayerbook of the bible, Psalms | Permalink. As Greek Orthodox Christians and as Americans, we express our sadness and pain for our brothers and sisters all over the world who find themselves in tragic circumstances of hostility, violence and war, where families have been torn apart, displaced and where people are denied basic human rights. Following the example of Christ, we are called to offer unconditional love to our fellow men while starting immediately to pray for them. In our great country, which has historically and practically welcomed people of every nation, tribe, and tongue, we have the distinct privilege and honor to offer philoxenia – love of the stranger – to humans from all walks of life. The New Testament is replete with an ethos of philoxenia – love of the stranger – based not on fear but on care and on gratitude. Welcome one another, says Saint Paul in his letter to the Romans, even as Christ welcomed you (Rom. 15:7). Christian philoxenia must not only be extended to those close to us, but must be extended to those near and far away, and even to those who will not reciprocate—to the poor, the stranger, even those who hate us. For Christ says, if you love only those who love you, what credit is that to you? (Luke 14:14). As a vital expression of love, we must continue to fervently pray for peace for the entire humanity, especially for those affected by difficult circumstances. Our fellow humans who are suffering under terrible conditions and ordeals all over the world are expecting justice and begging for our love and prayers; even the least among them. As Christ said, Inasmuch as you did it to one of the least of these my brethren, you did it to me (Matt. 25:40). In these most difficult times, the strongest expression of our philoxenia becomes a very urgent matter. United as one people, as one nation under God, let us proceed courageously, prudently, and lovingly. Always with the help of the Almighty God! Canada is one of the most open and welcoming countries in the world. As an immigrant to Canada in 1963 I know that first-hand. The demons of division and hatred attacked Canada last weekend in the guise of a gunman’s attack on a Quebec City mosque. Intolerance, religious and ethnic hatred and genocide have become almost daily realities, and they are to be resisted in any and all forms they take. The world’s democracies have been under assault from Islamic extremists for many years now. But Muslims don’t have a monopoly on radical extremists. The Quebec City incident was an attack on Muslims by a white racist nationalist. All forms of attack are despicable, regardless of who is being attacked or who is committing the attack. There is a profound Christian teaching about the powers and principalities that work behind the scenes in human affairs: “For we are not contending against flesh and blood, but against the principalities, against the powers, against the world rulers of this present darkness, against the spiritual hosts of wickedness in the heavenly places” (Ephesians 6:12). Call these “powers and principalities” by any other name that is understandable to you – demons, religious extremists, governments, CEOs – whatever is your preferred source of evil in the world. The question – the challenge to us – is always the same: Do we acquiesce or do we resist? Canada and Quebec choose to resist. Let’s hope their response is contagious to other countries and governments. Categories: Global Visions | Tags: powers and principalities, Quebec City attack, radicals, tolerance, violent extremism | Permalink.